Wat Chana Songkhram is the secondary monastery. Somdej Krom Phraratchawang Baworn Maha Surasinghanat renovated this temple, and King Rama l appointed a group of monk to look after the temple. It was renamed "Wat Chana Songkhram" for the memorial of Somdej Krom Phraratchawang Baworn Maha Surasinghanat and his troop's victory in the battle of the three armies. In the the reign of King Rama V, Queen Si Patcharintara respectfully invited the ashes of princes to house in the chapel. 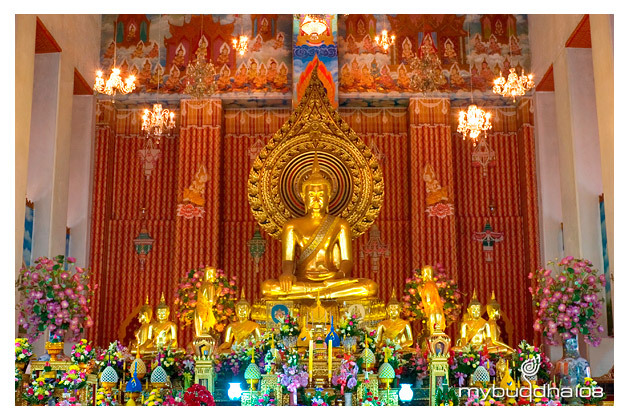 Ubosot house the principal Buddha image of "Phra Puttanorasitrilokachet Mahetthisak Puchaneeya Chayantakodom Baromassada Anaworayan" in the Subduing Maha posture, made of plaster, lined with lead and gilded.